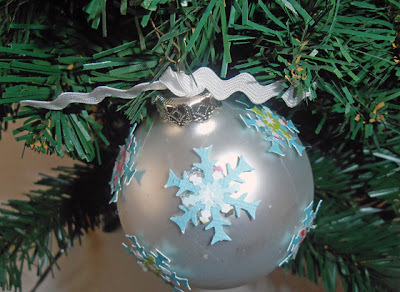 Confessions of an ADD English Teacher: Pinspiration Christmas! I'm so ready for Christmas! I've started decorating the outside of the house and a few decorations have popped up inside, as well. This year, we plan to have three trees inside the house and at least three outside! All decorated, of course. Do you do more than one tree? Have a theme? I have one tree that is just for the kids to mess with. They have their tree and mama has hers. With my eye on Christmas, gift giving and looking ahead to my annual goal to get organized in the new year, I set out to find some awesome features in this week's party. Second Chance to Dream gave some boring old ornaments a second chance at being beautiful for Christmas. Way to upcycle! Growing in Grace shared a beautiful way to spruce up FAMILY. This has given me some ideas for my mantle! The Thinking Closet puts my chalkboard wall menu planner to shame. I seriously need to do this project! Of course, the project title gave me giggles, too...I'm such a nerd. So who's ready for another great party?